Hi, guys, we are going to have a major patch introducing many new contents. 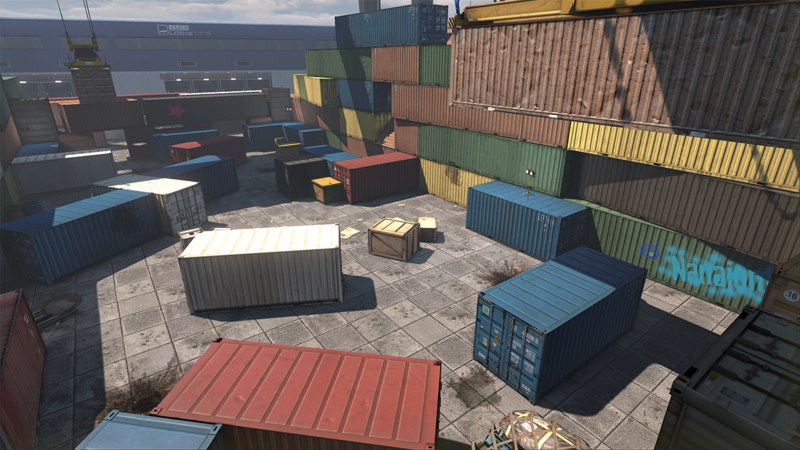 We are happy to announce a new map, Open Cage. Here is a screenshot to get your appetites whet. Also, we are happy to announce new reward system. We going to start with Zombie Paint RandomBox rewards. If you clear the waves(4, 7, 10), you will earn a chance to run Zombie Paint Randomboxes (Bronze, Silver, Gold respectively). And here are rest of changes and bug fixes. * Grassy Coverup features interactive doors where you can open and close them. * Fixed Reload Gauge where it sometimes remained on the screen. * C4 artifact removed during installation/defusing in SnD mode. * Moving NA Central to NA South for our LATAM users. We are aware of the Server issues and looking for some solutions. The main problem is that the servers got shut down as we cannot afford them in the current state. We've been losing money pretty much from the start and we are doing our best to keep the service alive. I'm sure you will understand it and I hope the situation changes soon. Please hang in there with us.